My response to reading this book is “Holy Moly”. Dan Simmons has quite the imagination and this fictional version of America’s future is truly frightening. What makes it so terrifying is it’s realism and potential for becoming fact rather than fiction. He has taken current events and foreseen a potential future. With the current focus on ISIS in the middle east this book becomes even more scarily plausible. Wow! Not only is this book s commentary on where America could be headed, it is also an amazingly wonderfully written work of science fiction and a terrific mystery. The character of Nick Bottom is so well realized that it is easy to picture him as a real person rather than just a character in a book. His grief over his wife’s death will draw readers in. Anyone who has ever lost a loved one can relate to his pain and to his wanting to retreat into the world of Flashback. Flashback is a drug that allows the user to re-experience a moment (or moments) in their lives that they wish to revisit and relive. Who could resist the allure of being able to go back and live the happiest day (or days) of their lives over again? This book is the very definition of the word: THRILLER. Despite it’s length, this story never lags. There is non-stop action from start to finish. Also, FLASHBACK will make you think! You will not be able to stop yourself from pondering the plausibility of this fictional future. I absolutely LOVED this book. It is intelligently written, thoroughly engrossing and completely mind-boggling. There are many facets to this story. There is the fictional drug “Flashback” along with the addiction aspect of the drug. There is an absorbing murder mystery. There is family drama. There is the drama and grief of a husband who has lost his wife and a son who has lost his mother. There is teen angst and the phenomenon of peer pressure. There are politics. There is warfare, both abroad and at home. There is prejudice and hatred, and much, much more. Readers will not want to put this book down. Dan Simmons is a force to be reckoned with and even though this is the first novel of his that I have read, it will certainly not be the last. 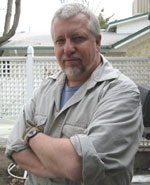 Dan Simmons is the Hugo Award-winning author of Hyperion and The Fall of Hyperion, and their sequels, Endymion and The Rise of Endymion. 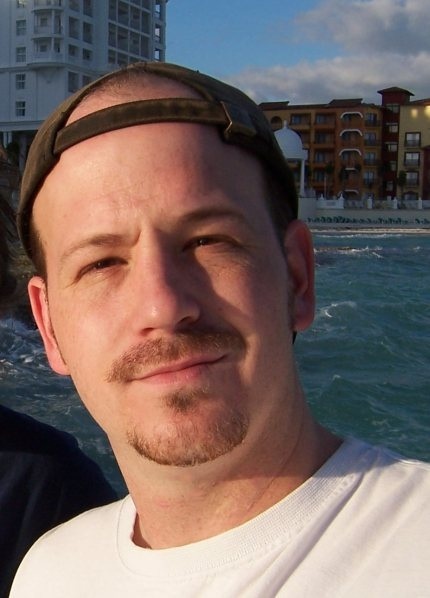 He has written the critically acclaimed suspense novels Darwin’s Blade and The Crook Factory, as well as other highly respected works, including Summer of Night and its sequel A Winter Haunting, Song of Kali, Carrion Comfort, and Worlds Enough & Time. He lives in Colorado. Its the 1980s. Nintendo is the newest thing and small towns are still considered safe places for kids to roam free. Eric and Kyle are in the eighth grade and are best friends. Kyle had only moved to Dust, Texas the previous year. Eric had received the nickname “Crazy Train” several years earlier and was bullied and friendless until Kyle moved to town. On Kyle’s first day of school he had stood up for Eric when the school bully was taunting him. The two boys have been inseparable ever since. Eric hasn’t seen them in a while, but for years he has seen phantoms with red eyes. No one else can see them. He had made the mistake of telling people about them when he was in third grade and that is when he earned the horrible nickname. After not seeing the phantoms for years, Eric is suddenly seeing them with alarming regularity. What are they? Why doesn’t anyone else see them? What do they want? What can Eric do about them? This audiobook is targeted at a Young Adult/Middle School audience and I think the author has done a terrific job. Not only is it a much better story than I had expected, but since I am a child of the 1980s (born in the 70s) I enjoyed the references to the fads and styles of my youth. Remember leg warmers and banana clips? I do. This book ends on a cliffhanger and listeners will want to know what happens to Eric and Kyle next. I know I will be adding the second book to my “To Listen” list. Narrator David Dietz is a whiz with separate voices. 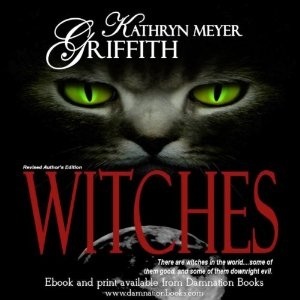 The listener is able to easily distinguish not only between characters, but also between the characters and the narrator’s portions of this audiobook. Lately I have listened to a few books by this narrator and I have been pleased with the performance every single time. I rate the narration as 4.5 out of 5 stars. The book itself deserves a 4 star rating when taking into account the intended audience. I truly believe that Young Adult and Middle Grade listeners will LOVE this series. Two witches living in the same town several centuries apart. 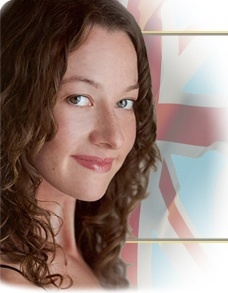 It is the 1700s and Rachel Cox is the talk of the town. They say she is a witch and they whisper whenever she walks by. It is a terrifying time to be accused of witchcraft. Witch hunts and burning at the stake are common. Amanda is a modern day white witch. She is grieving the loss of her husband Jake and is just starting to try to figure out how to live without him. There has been talk locally about a satanic cult practicing in the area. When murders begin happening the residents of the small town are scared. And, as always, scared people act irrationally. They start looking for someone to blame and despite living there for ten years, they chose her as their target. Amanda must decide whether to permanently leave the house she loves and abandon the townspeople to the evil in their midst or whether to stay and fight to protect the town despite their hatred towards her. This is a story of good vs. evil, but is also a tale of prejudice and the fact that people tend to fear anything or anyone they do not understand. 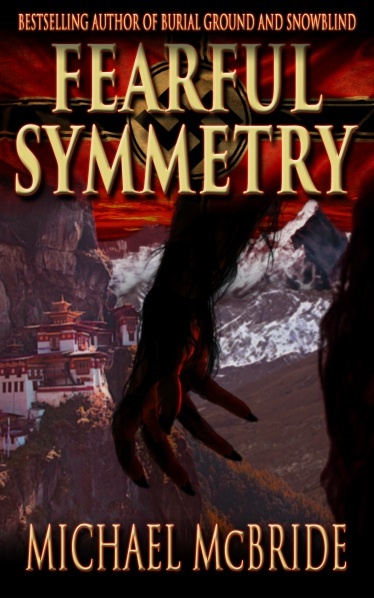 The author does a terrific job of incorporating the supernatural into the modern world. She also weaves history with present day. The narration of this book was not as good as I had hoped. Much of the delivery is in monotone and the different characters do not have distinct voices. The voice used for Rebecca’s familiar (a mouse) was horrible and it was weirdly similar to the voice used for the character of Sebastian. However, there are stretches of time where the narration is very good. This is just a personal observation. I recommend listening to this book yourself and making up your own mind about the narration. From the very first few minutes of this audiobook I was enthralled. 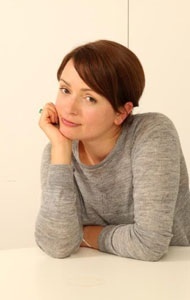 Narrator Nicola Barber has an amazing voice. She conveys a sense of wonder in every sentence and draws the listener into the story with such ease that you are instantly hooked. Whether the character is a young girl, an imperious teacher, an ill-tempered barkeep or a professional sailor the voice is nothing short of perfection. The story itself flows seamlessly from day to day, year to year and minute to minute. Malin is a character that you cannot help but empathize with. This book is a re-release. It was originally published in 2004. 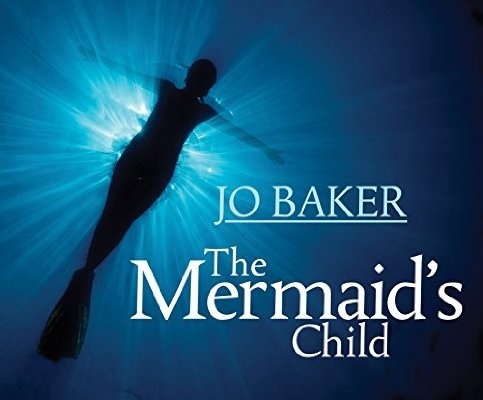 The fact that this book was author Jo Baker’s debut novel is AMAZING. She is a talented author and I also immensely enjoyed her book LONGBOURN which was published in 2013. Malin has always been different. Her father was a ferryman and he tells her that her mother is a mermaid who left to return to her own people. When Malin’s father dies she is left in the care of her grandmother. The grandmother sends her off to work and live in the local pub. Malin is treated like an unloved and unwanted slave. But everything changes when a mysterious stranger arrives at the pub and Malin makes a decision that will change her life forever. This tale is strange but wonderful. It is full of interesting characters and Malin’s adventures are richly imagined. Though much of this book is “dark” there is something inside Malin that does not allow her to give up. This book is a tribute to the inner spirit of a determined young woman. It is so vividly described that readers will not be able to stop listening to the story. I highly recommend this book to all adults. It definitely contains many adult themes and scenes and is not appropriate for younger readers/listeners. This is a collection of short stories and poems with “dark” themes. This collection had me hooked from the very first story. The author has done a truly stupendous job and is able to evoke an emotional response from the reader in a very short amount of words. Most short stories I’ve read seem to be lacking that essential quality that is required for the reader to fully immerse themselves in the story. In “Wanderings on Darker Shores” the reader becomes not only immersed in the story, but also invested in it. The small details are included that are necessary to fully flesh out her characters and the stories are wonderfully written. Her gift for description is just that … a gift. “She was even more beautiful now than she’d been younger, her skin taut over high cheekbones, her narrow eyes the color of dark chocolate, the streaks of grey in her hair making me think of silver jewelries rather than time.” This description is exquisite. It is easy to form a picture in your mind’s eye of the woman she is referring to. 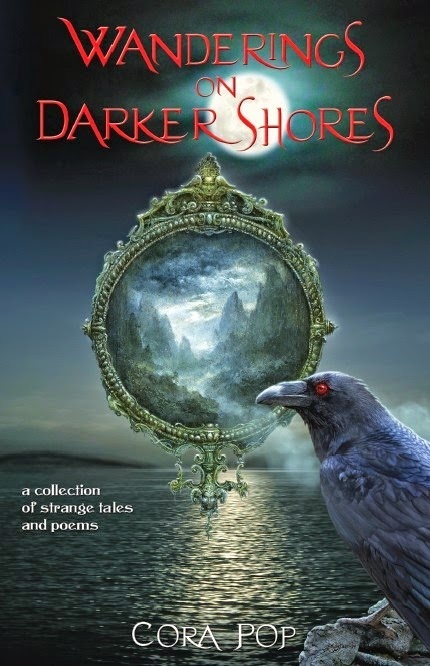 If you enjoy reading paranormal fiction, horror and “dark” themed fiction you cannot go wrong by purchasing “WANDERINGS ON DARKER SHORES” by Cora Pop. First off I have to say that there is something about a narrator with an English accent that lends itself very well to the fantasy genre. It adds a sense of the different (and therefore exotic) to those of us in North America. Peter and George have just completed public school. Next stop is high school, but first they are looking forward to a summer of freedom and adventure. As with every other summer, Peter will be spending it visiting his grandfather, but this time he gets to bring his friend George with him. The two boy’s arrive in Campbell’s Cove which is not your average village. Viking longships, knights, immortal vikings, dragons, goblins, trolls, witches, ogres and more exist in secret deep within the caves. This is an exciting fantasy/adventure tale that readers of all ages will enjoy. As far as I am aware, there are three books in this series so far and I will be adding all of them to my “To Read” shelf. 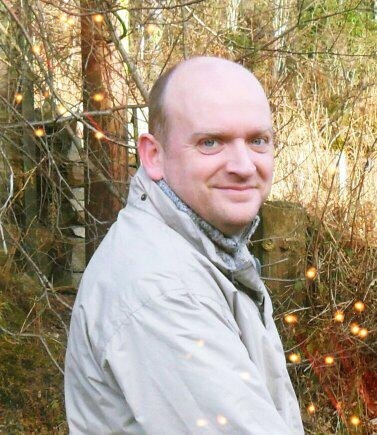 Kevin McLeod lives in Scotland with his wife and their two daughters. He has always been a keen writer, and has written many short stories. 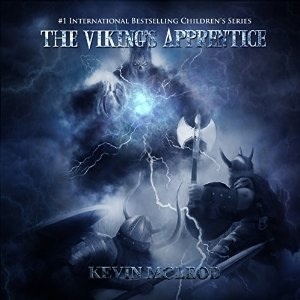 The Viking’s Apprentice was Kevin’s first novel and is the first book in the greatly anticipated Viking’s Apprentice series. * I received a free copy of this audiobook in exchange for an unbiased review. As World War II was ramping up, five Nazi scientists embarked on an expedition into the Himalayas in search of the origins of the Aryan Master race. What they found instead was something they could not have imagined, even in their wildest dreams. Now nearly a hundred years old, Johann Brandt, the only survivor of that expedition has decided to share his discovery with Jordan Brooks. Jordan is an evolutionary anthropologist and if what Brandt has shown him is real, he knows it could be the discovery of a lifetime. Jordan launches his own expedition following in Brandt’s historic footprints. With the benefit of modern scientific knowledge and superior tools, he hopes to discover an entirely new species. What Jordan and his colleagues find will challenge their view of the world as they know it. They have some decisions to make. That is, if they survive. I don’t think my synopsis does this book justice. I enjoyed every minute of this audiobook. It is a non-stop roller coaster ride that will have listeners on the edge of their seats. Narrator Scott Thomas does a truly spectacular job. He is able to voice not only American characters (both male and female) but the voice he uses for Brandt (the elderly German) sounds authentic and believable. Because of the science in this book it could have become overwhelming to the listener, however once again, Scott Thomas does a superb job of making even scientific information sound compelling and interesting. His pacing and tone of voice allow the listener to immerse himself in the story. This book was the first novel of Michael McBride’s that I have read and I will definitely be looking forward to reading more of his books. The fact that this story comes across as scientifically possible is part of what makes it so terrifying. Are we as humans the final evolution of our species? Is it not the very pinnacle of arrogance to think that our species is the best it will ever be? History has shown us that all species continue to evolve and adapt. Therefore it would be ridiculous to assume that future generations of people will not change at all. We just have to hope that future changes are for the better and not for the worse. This book will stay with you long after the final chapter. The ideas this book is based on are food for thought. For this reason, I think this would make a good book to choose for a Book Club. It would definitely generate quite a bit of discussion. * I received a free electronic version of this book from the author in exchange for an honest review. I find it very interesting that in the introduction the author tells readers that she had never intended to release this book. “It began as a creative outlet and turned into a hobby.” This fact appeals to me. When an author writes for the sake of writing and not for the sake of trying to cater to what they think potential readers want, I believe they produce a superior story. Too often the books I see on library or bookstore shelves are written with the goal of sales in mind rather than for the pure enjoyment of a good book. 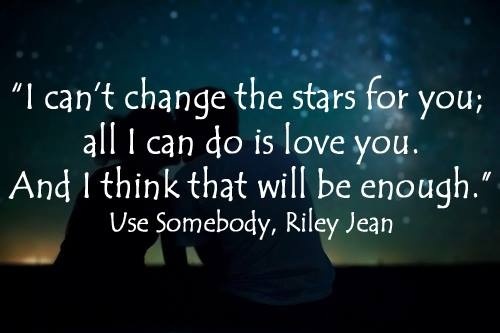 Riley Jean’s introduction concludes with her saying, “So to each and every reader, I just want to say that I feel incredibly humbled that you have allowed me to share my story with you.” Reading this made me even more eager to read her book. This book started out one way and then changed. If you were only to read the first few chapters you would assume you know exactly how the story will proceed. You would be wrong. Scarlett (or Scar as she prefers to be called) has had some bad breakups. Throughout high school she had always been the quiet good girl. The one who believed in happily ever after. But, that was before she learned the truth. Now she has cut and dyed her long blond hair and styled it into a shorter, black more emo-type style. Gone are the days of cute outfits and manicured nails. Now her nails are neglected and black and grey are her standard color choices for clothing. She has built a brick wall around her heart and vowed to never let anyone in again. The thing is, that Scar has a valid reason for wanting to protect herself and she isn’t about to share that reason with anyone. When she meets Vance and learns that he is in a loving, long-term relationship she tries to keep him at a distance. Despite her best efforts, they end up becoming friends. But, can this emotionally damaged girl ever really open up to anyone again? And what was it that happened to her to cause her to lose all faith in love and happily-ever-after? This is a terrific story targeted at “New Adult” readers. This is not a young adult novel. It takes place after high school graduation when teenagers are on the cusp of adulthood and are struggling to find their place in the world. 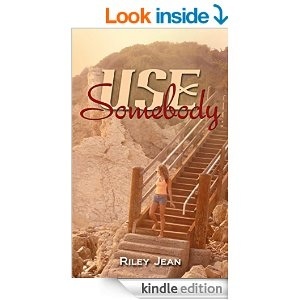 Riley Jean has shown that she has an uncanny talent for getting into the hearts and minds of her characters and translating that understanding onto the page. Readers will find themselves drawn into Scar’s world and they will find themselves invested in her life. The characters feel so real that you will find yourself wondering if this is truth rather than fiction. That is the mark of a talented writer and I believe that this debut novel is destined to launch her on a career path where writing stops being a hobby and becomes her full-time vocation. 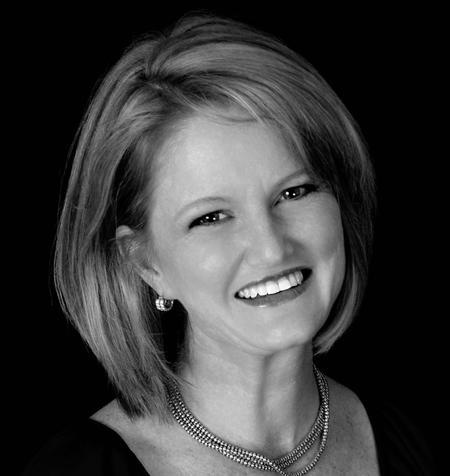 Riley Jean works as an Executive Assistant to the CFO of a Fortune 100 company. At night she transform into an aspiring author. USE SOMEBODY is her first novel. Raven has no friends, no family and lives in a rough neighborhood. She is a loner and works as a housekeeper where everyone ignores her. Raven is also cautious. She has been attacked in almost every city she has ever lived in. She never thought much of it since she has always lived in ghetto areas. Cain Henson is rich and gorgeous. He is also a bodyguard. He has been sent to protect Raven from The Battalion. Cain’s grandfather is a Seer and he believes that Raven has a very special gift. That is why Cain must protect her… whether she likes it or not. The Battalion is a group who wants nothing less than world dominance. They kidnap or kill people who have powers. That is why Raven cannot understand why they are interested in a nobody like her. She doesn’t believe she has any powers and she doesn’t believe she is important at all. What follows is a tale of magic, powers, good and evil, romance and suspense. This book is memorable. A.P. Jensen has created an entirely new subset of people on the planet with very unique powers. It will be fascinating to discover what happens next in The Unmemorable series. The narrator has the perfect voice for this story. She uses inflection and tone very well. I rate the narration as 4 out of 5 stars. A. P. Jensen was born and raised on the Big Island of Hawaii. 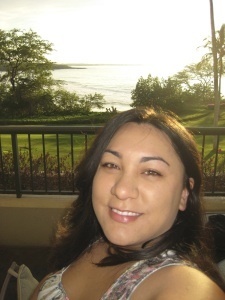 She spent several years on the mainland (Las Vegas and Austin) before coming home in November 2012 to pursue her writing career. 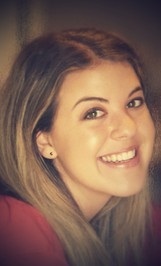 After A. P. returned home, she self-published her first book, Emma’s Secret on May 5, 2013. I was drawn to this audiobook for a couple reasons. The first reason was it’s length. At just over an hour I was willing to listen. It’s only an hour. I decided that even if the book was terrible I would only have wasted an hour. (Fortunately I actually really enjoyed this book, so length did not end up being a factor after all.) The second reason I wanted to listen to this audiobook was that it was written by a normal person and not a so-called “expert”. The author lets the reader know immediately that he has no formal education in nutrition or weight loss. This book is just his way of sharing what has worked for him. 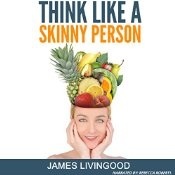 James Livingood decided to ask his “skinny” friends for advice and this book is the culmination of the tips and tricks and ideas that he received from them.